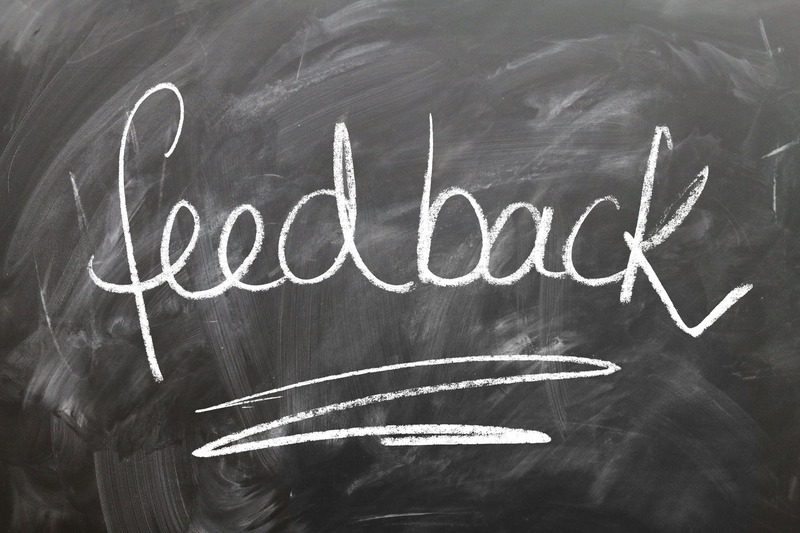 Feedback is an integral part of an organisation’s continuous improvement and of an individual’s professional development. Providing feedback is an ongoing, cyclical task and you must let your employees know where they are, where they need to go, what they are doing well and what they are doing not so well. Constructive feedback fosters a culture of development, increases the employee’s self-awareness, improves morale and reduces confusion regarding expectations. This doesn't mean solely giving positive feedback! Providing negative feedback in a tactful manner is just as, if not more, important. However, negative feedback given the wrong way often leads to employee disengagement, reduces morale and gives little guidance on how to improve/change. Thus, it is important to learn how to give constructive feedback effectively. The objective behind giving constructive feedback is to provide guidance to an employee. Guidance can support effective behaviour or realign problematic performance to successful performance. So what should you do to make sure you’re providing the best possible constructive feedback? Identify the key areas and actions where the employee excelled or performed poorly. Make sure the feedback you give is clear and to the point. Regardless of whether it's positive or negative, feedback should be given in a straightforward manner. Specific constructive feedback leads to greater opportunity to learn. Recognition is important! Most people need encouragement and to be told when they are doing something well. It's common for individuals to emphasise the negative and to focus on mistakes more often than successes. In a rush to criticise, we may overlook the things we liked. If the positive is registered first, any negative is more likely to be listened to and acted upon. Feedback which is heavily imposed or demands strict action in the way you see best can result in resistance to change. The best constructive feedback offers people a choice: whether to act on the feedback or not. This allows the employee to maintain autonomy over their behaviour whilst offering the opportunity for development. In the case of a manager, offer your employee an example of how you overcame a similar problem, and let them bring their own ideas for what they could do differently. Inferences are the assumptions and opinions that you formulate about an individual, whereas observations are objective and are the result of clear, logical reasoning. Basing feedback on inferences is particularly detrimental and can lead to a breakdown of relationships between manager and employee. Try to be as objective as possible and show that you've carefully considered your feedback points, and you'll see greater respect and weight given to your opinion. Describing behaviour is a feedback method for identifying a range of positive or negatives. This is beneficial and allows for a healthy discussion. On the other hand, using evaluative language can be dangerous. Using language like ‘right’ or ‘wrong’ engenders a "black and white" culture which is too rigid and may make the employee respond defensively or resistant to the feedback. Avoid using ‘need to’ phraseology; it is an implicit note to the individual that they did something wrong, but it doesn't offer any guidance or explicit information on where they went wrong. Constructive feedback shouldn’t be overbearing or protracted. Remember, feedback should follow a cycle and there will always be another opportunity to offer constructive feedback. For each meeting select two or three main points to offer feedback on. If you give too much feedback the employee may become disengaged, or even confused with the overwhelming wealth of information. Constructive feedback has a range of benefits. As a manager, you continue to develop a working relationship with your employees whilst also providing guidance for their work. For the employee, constructive feedback helps continuous professional development, motivation and engagement. Work Stress Awareness: What can help? An employee and employer perspective. Don't Think Performance Management Software Is "Worth It"? Think Again. We are shaping people strategies for fastest growing companies in the world. Contact us for more information about our award-winning performance management software, or get in touch on social media. © Copyright 2018 by PeopleGoal. All Rights Reserved.